The website of the world's leading organizer of conducting masterclasses. As every year, we would like to invite you in 2019 again to our highly popular summer course for which we have chosen eight masterworks of the classical and romantic period. During 95 minutes of orchestra podium time you will work with the London Classical Soloists on your own choice of movements. Each participant will conduct at two concerts, including a competition, at an acoustically superb Central London venue and receive high-definition, multi-angle video recordings. 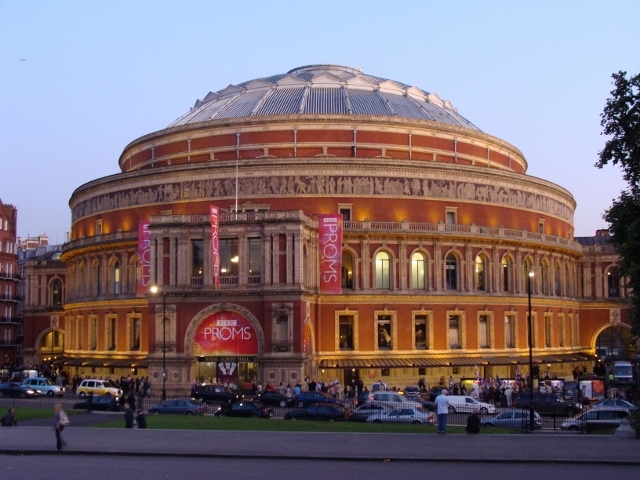 The course will take place close to the Royal Albert Hall and sessions will finish in time for attending most of the BBC Proms concerts of that week. Achim Holub will share his experience of 20 years of collaboration with many world-class musicians and recording companies like Deutsche Grammophon Gesellschaft in talks about career planning and record producing. Additionally, he will coach you on technique as well as on rehearsal preparation and give you personal feedback with comprehensive career advice. Do not miss the opportunity to receive professional instruction and valuable advice from an experienced conductor and please make sure to apply as early as possible! Additionally to piano and orchestra sessions, each single participant will receive post-rehearsal feedback and one-to-one personal coaching sessions with comprehensive career advice. Personalized multi-angle videos of your performances including a professional sound recording will be available shortly after the concerts and are included in the course fee. There are no application or registration fees and we will try to process your application as quickly as possible. The deposit of £350 will be due two weeks after receiving our offer of place. You can pay deposit and course fee directly on our website. Please follow https://www.conductingmasterclasses.com/fee-payment for a secure payment option. Our website is Level 1 PCI [the highest Payment Card Industry Data Security Standard] compliant and uses 128 bit SSL encryption. Alternatively, you can use TransferWise and standard bank transfers. All necessary information for making a transfer will be included in our Offer-of-Place message. Partners and family members of active participants will have free access to all sessions and concerts. We recommend working on your own choice of four to six movements. Please use this link [www.conductingmasterclasses.com/london-summer-2019-choice] to submit your choice of repertoire. Participation in the competition is optional. All members of the orchestra will be involved in the competition voting process. The results of both concerts will be included in the final result which will be announced after the second concert. The first six results will be announced publicly after the second concert, you will receive your competition feedback at the personal coaching session on the following day. The winner will be considered for future concert engagements. Conducting students and professionals; chorus masters; instrumentalists and music pedagogues who would like to improve their skills in ensemble leadership. To apply, use the Application Form or send an email to masterclasses@londonclassicalsoloists.com with your name, address, nationality, phone & mobile numbers and a short CV. To secure your participation, please make sure to pay the deposit of £350 as soon as possible, within two weeks after receiving our offer of place, at the latest (transfer details will be sent to you together with the offer).